Das Dojo ist der Ort (jo) des Studiums des Weges (do) oder allgemein ausgedrückt: die Übungshalle. Die Dojos befinden sich an den beiden Standorten Meilen und Rapperswil-Jona. sind vorhanden. Zuschauer sind herzlich willkommen. • Oder zu Fuss (5-10 Minuten). Bei Anreise mit dem Auto sind Parkplätze in der näheren Umgebung des Trainingslokals vorhanden. 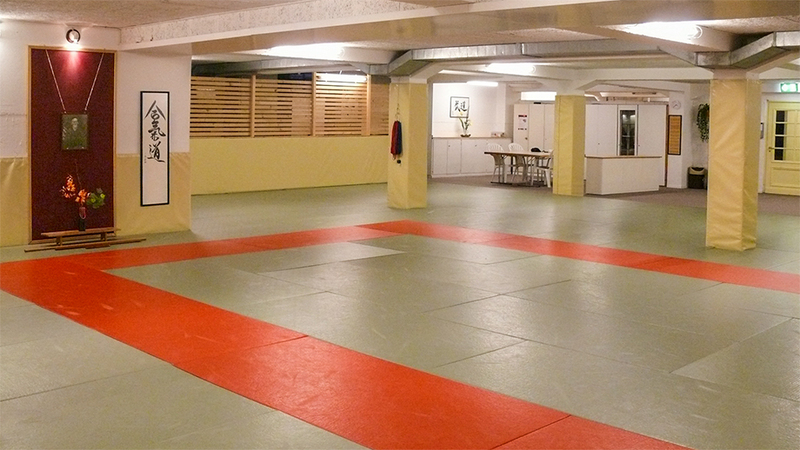 - You find the dojo on the Ormisstrasse 31, 8706 Meilen. - In Zurich you buy a one-way ticket for the train to Meilen. - Take train S7 direction Rapperswil/Jona. - Travel time 15 minutes. - Second stop is Meilen, leave the train and go to the bus station in front of the building. - Hurry a bit, the bus is leaving after some minutes. - Take bus 922 (the train ticket is also valid for the bus). - Leave at the second stop, called Allmend. - You are in front of the school building where the dojo is located. Enter the area and look for the gym. 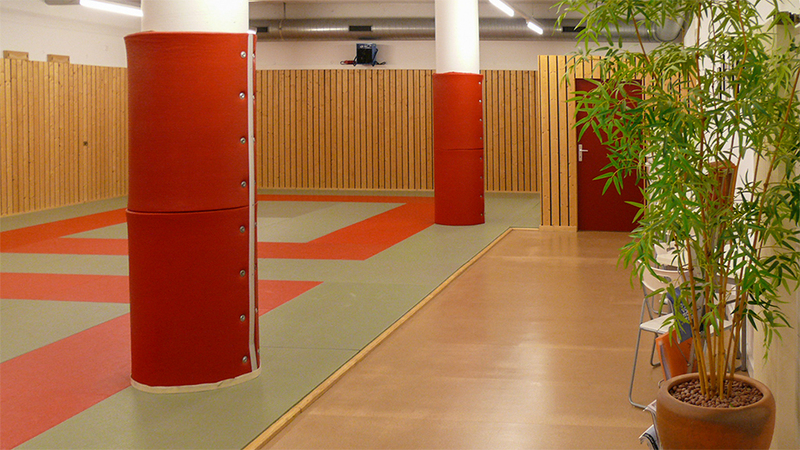 - The dojo is behind the gym building in the underground. If you are reaching us by car, there are parking possibilities near the dojo. des Werkhofs der Stadt Rapperswil-Jona. Haltestelle Schulstrasse (vier Stationen, 3 min). • Dort beginnt die Bildaustrasse. • Weiter zu Fuss (3 min). • Ab Bahnhof Rapperswil maximal 15 min. • Ab Bahnhof Jona maximal 10 min. 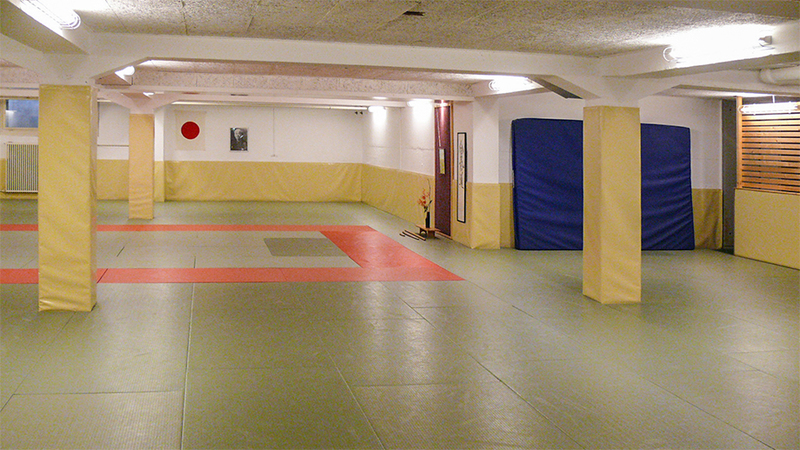 - You find the dojo on the Bildaustrasse 20, 8640 Rapperswil. - Take the bus number 993 in front of the railway station Rapperswil. - Get off at the fourth stop called Schulstrasse. 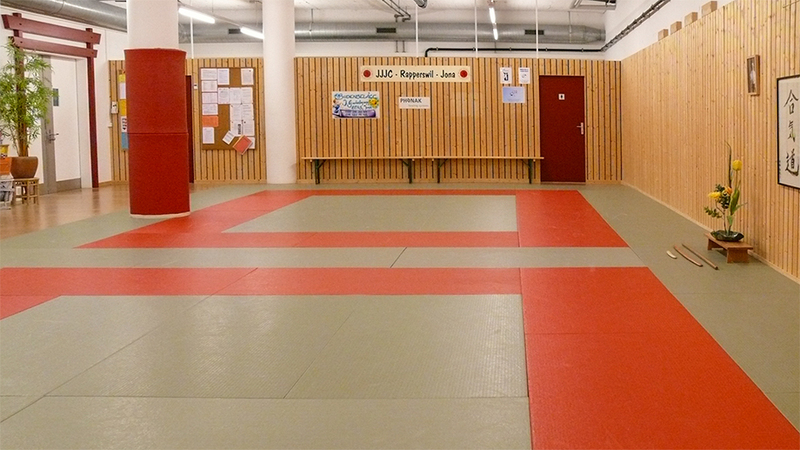 - Here begins the Bildaustrasse, then walking to the dojo (3 min). - Or you walk from the railway station Rapperswil to the dojo (maximum 15 min). - From the main station in Zürich take the train S7 or S15 to Rapperswil. If you are arriving by car, there are parking possibilities free of costs in front of the dojo.